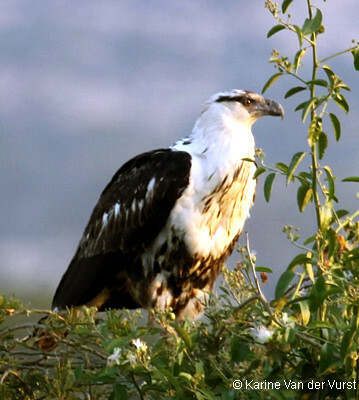 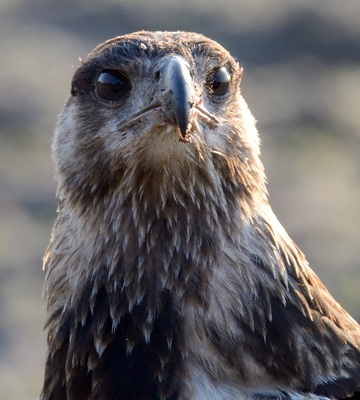 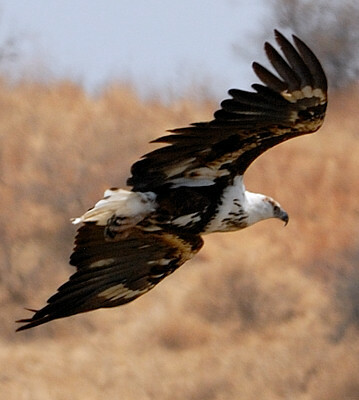 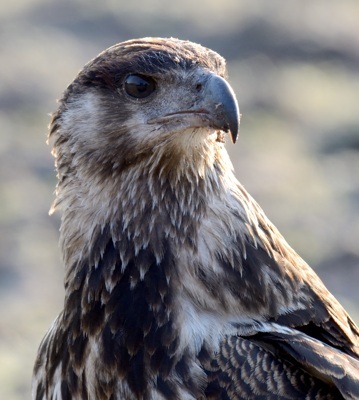 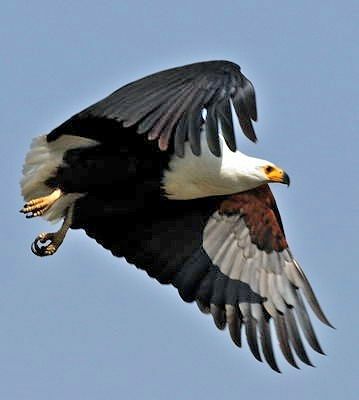 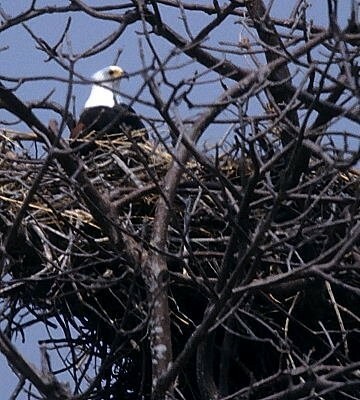 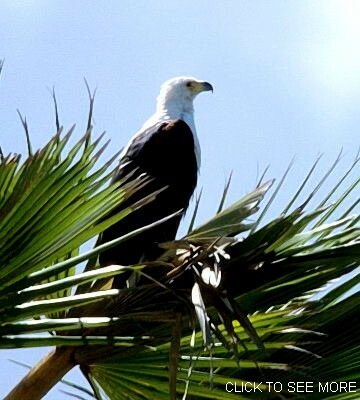 The African fish eagle is one of several Tanzanian fish-eating raptors (also palm nut vulture and osprey). 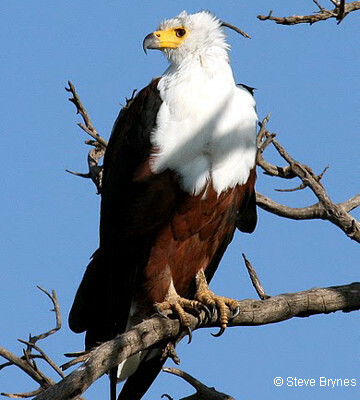 Fish eagles do not attain full adult plumage until the fifth year. 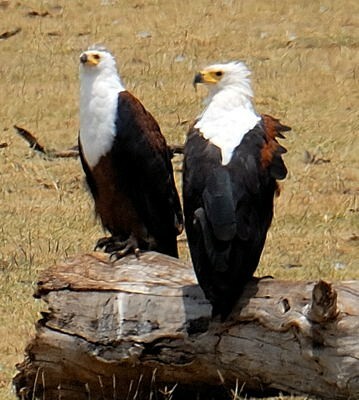 The top photo of two adults and a juvenile (Ruaha, 10-17) is courtesy of Brad Johnson. 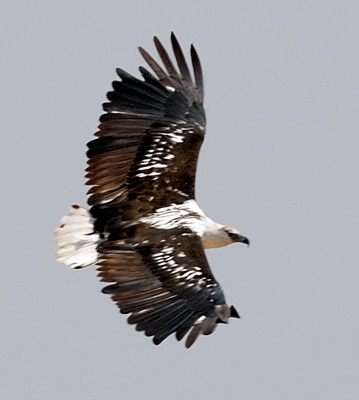 Click the photo above to see a slideshow that includes juveniles, immatures and subadults and more.